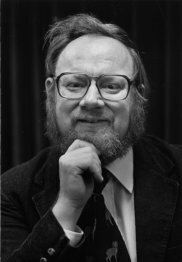 John Eaton was called "The most interesting opera composer writing in America today" by Andrew Porter in The London Financial Times. He has received international recognition as a composer and performer of electronic and microtonal music. In addition, he had a career in jazz, recorded by Columbia Epic and RCA. His work has been performed world-wide. Works have been broadcast on radio and television. In the early 1960’s he did perhaps the first live performances on modern sound synthesizers. A number of these early pieces were recently re-issued on a C.D. called First Performances by E.M.F. Among the best known of his 25 operas are The Cry of Clytemnestra, which has received great public and critical acclaim at its nearly twenty performances. The Tempest was called a "formidable intellectual as well as musical achievement ... an opera of stark beauty" by Michael Walsh of Time Magazine following its premiere by the Santa Fe Opera. The composition of his last grand opera, King Lear, was completed last year. In 1993 he formed the Pocket Opera Players, which presented his operatic pieces for a small group of musicians in a new form. Of his last Pocket Opera, The Curious Case of Benjamin Button, Anthony Tommasini in the New York Times said “…opera is a form of drama, and ‘The Curious Case of Benjamin Button’ kept me involved right through.” It is now available as a commercial DVD from Albany Records. He has been the recipient of many awards. In 1990, he received the "genius" award from the MacArthur Foundation. His music was chosen to represent the U.S.A. in 1970 at the International Rostrum of Composers. He has received a citation and award from the National Institute of Arts and Letters, three Prix de Rome Grants, 2 Guggenheim Fellowships, and, among others, commissions from the Fromm and Koussevitsky Foundations and the Corporation for Public Broadcasting. He has lectured at the Salzburg Center of American Studies, and was Composer-in-Residence at the American Academy in Rome. His compositions are handled by Hal Leonard, G. Schirmer and A.C.A.